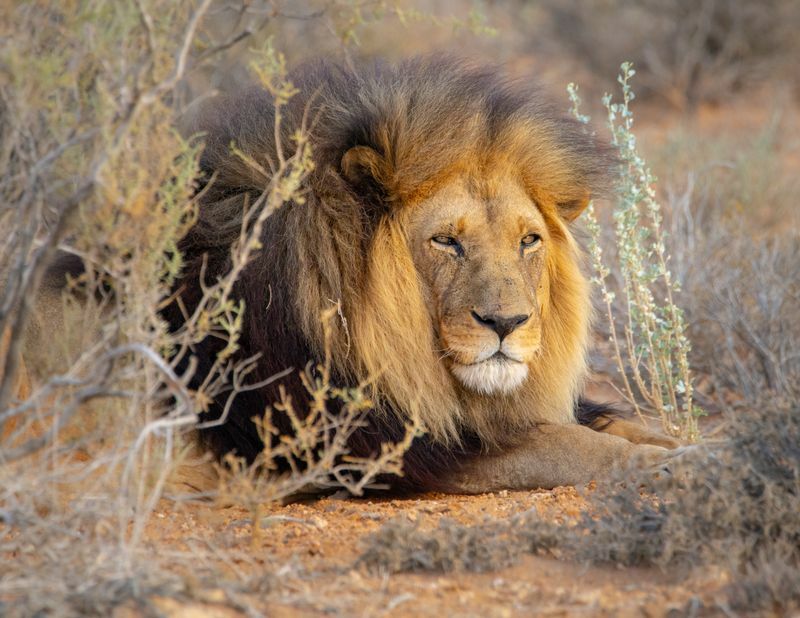 With an estimated 1,500 lions, 17,000 elephants, 48,000 buffalos, and 1,000 leopards, Kruger National Park has become the best place to see the Big Five animals in their natural habitat. 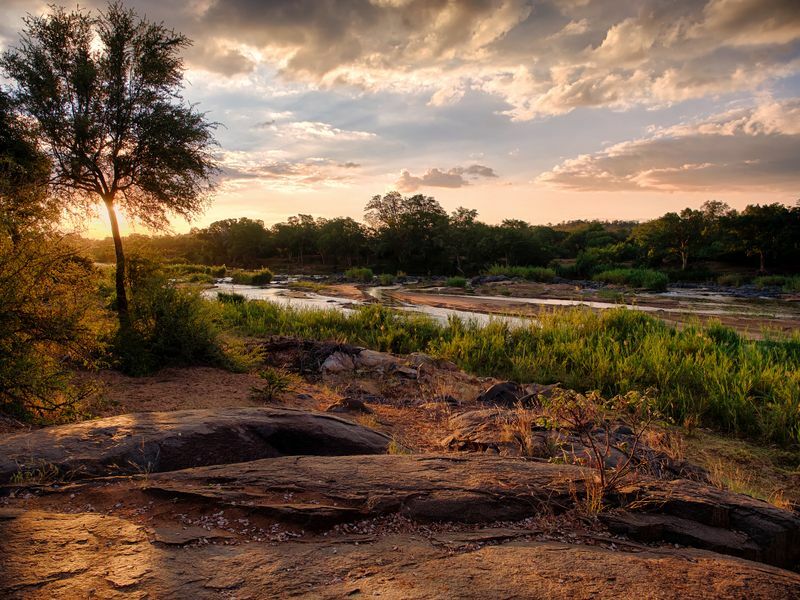 Kruger is one of the oldest national park in South Africa, as well as the largest. It is one of the most important game reserves in the world. But with such a huge area on your hands and the logistics of planning a trip to South Africa, things can get a bit overwhelming. Rest assured, as we are here to help you with all the information you need to plan an amazing safari in Kruger National Park. Kruger National Park is located in the north-east area of South Africa and covers an area of 19,485 square km (7,523 sq mi) in the provinces of Limpopo and Mpumalanga. Extending 360 km (220 mi) from north to south and 65 km (40 mi) from east to west, the park is part of the Kruger to Canyons Biosphere an area designated by UNESCO as an International Man and Biosphere Reserve. It borders Mozambique to the east, Zimbabwe to the north and the Crocodile River to the South. There are nine main gates to enter the park, allowing for direct access to the camps. While many of our organizers offer airport transfers from the airport to their accommodations, there’s a few airports to choose from. Make sure to check the package you booked, to make sure the (right) airport transfer is included. Kruger Mpumalanga International Airport (MQP): is located 57km (35.4mi) northeast of Nelspruit and serves the park. There are scheduled passenger flights to/from Cape Town, Durban, Johannesburg, as well as other South African and regional destinations. Skukuza Airport (SZK): is in Skukuza, within the park. It receives scheduled flights from Cape Town, Johannesburg, as well as other South African and regional destinations. Hoedspruit Airport (HDS): is located adjacent to the park. It receives flights from Cape Town and Johannesburg. This airport serves the Eastgate. Hendrik Van Eck Airport (PHW): also know as Phalaborwa Airport, serves the town with the same name, near the park. It only receives flights from Johannesburg. This airport serves the northern camps. Adult rates and fees apply to persons 12 years or older. Also, a community fund of 1% is added to all accommodation costs. The climate of the park is sub-tropical. 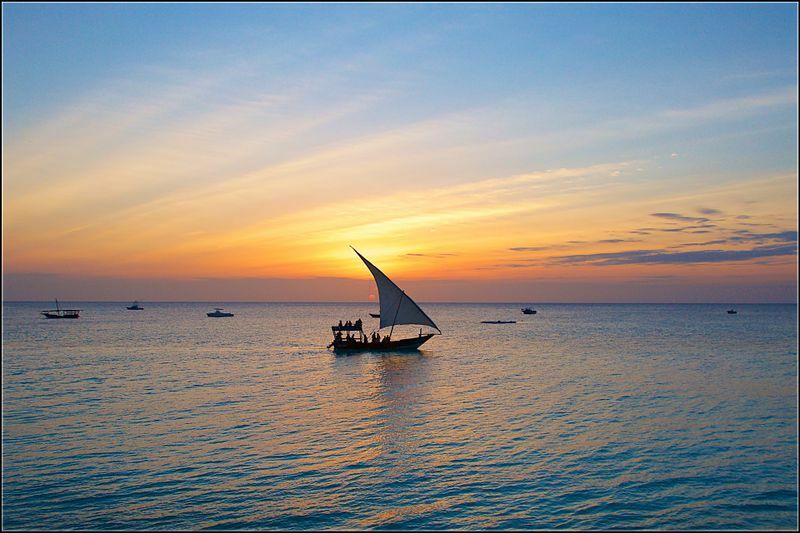 The rainy season – summer- lasts from October to March. 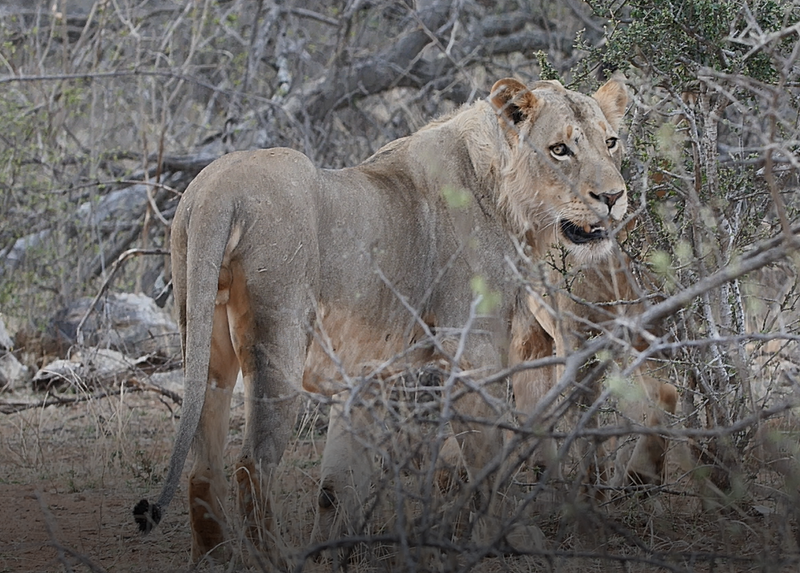 The arid park transforms into a lush flowering paradise, but the increased foliage makes game viewing harder. The dry season – winter – lasts from April to September. The days are dry and the nights cold. As the vegetation becomes sparse, it is the ideal time to see the animals. They often congregate at the watering holes. During the pre-reserve time, there is strong evidence that Homo erectus has roamed the area between 500 000 and 100 000 years ago. Cultural artifacts of the Stone Age man have been found dating to 100 000 to 30 000 years ago. There are many as over 300 archeological Stone Age sites in the area. Also, evidence of Bushman Folk (San) and Iron Age people have been found in the area. 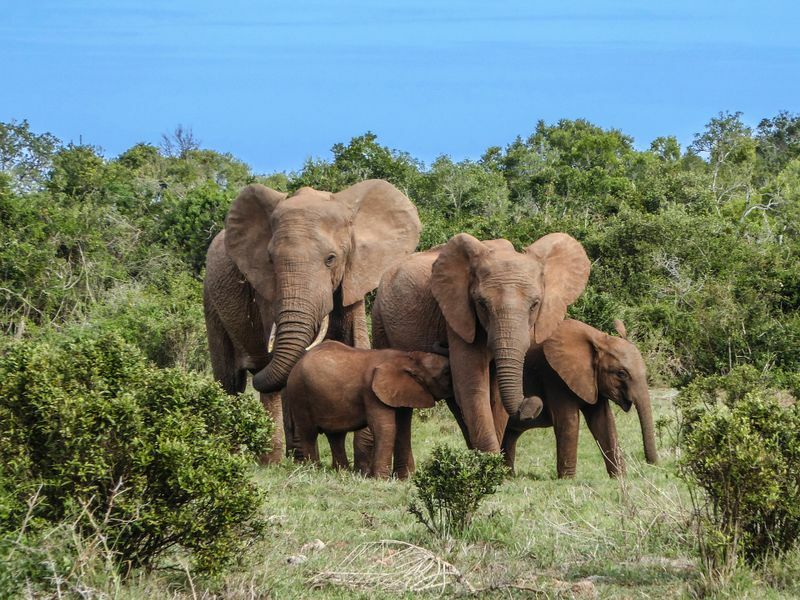 Before the Second Anglo-Boer War (1899-1902), the area inhabited by the Tsonga people was proclaimed a sanctuary for the protection of wildlife by Paul Kruger, President of the South African Republic at the time. In 1895, a motion was introduced to create the game reserve. Sabie Reserve was created in 1898, followed by Shingwedzi reserve in 1903. In 1926 the two reserves were combined to create Kruger National Park. The first large group of tourists arrived in 1923, as part of the South African Railways' popular "Round in Nine" tours. In 1927 the first three tourist cars entered the newly formed Kruger National Park. The park is characterized by combinations of savannah, thornveld, and woodland eco-zones. One of the most popular parks in the world, Kruger is home to 507 birds, 336 trees, 147 mammals, 114 reptiles, 49 fish, and 34 amphibians species. Thanks to its amazing tourist infrastructure, Kruger National Park can easily be visited on a self-drive safari. The sheer size of the park, however, requires careful planning. Valid ID must be carried when visiting the park. No part of your body must stick out of the vehicle. The windows, sunroof, and doors should always stay closed. The use of drones within the park is strictly prohibited. On asphalt roads, the speed limit is 50kmph, while on dirt roads it’s 40kmph. Pay attention to the signs. Alcohol consumption in public areas is prohibited. You may only stay overnight at recognized overnight facilities. Feeding the wildlife is prohibited. No plant or animal may be removed from the park. No animals can enter the park (your pet stays at home). Guide dogs are an exception, but the park management should be consulted. Kruger is in a malaria zone. Make sure to get the necessary vaccinations before you leave on your safari. 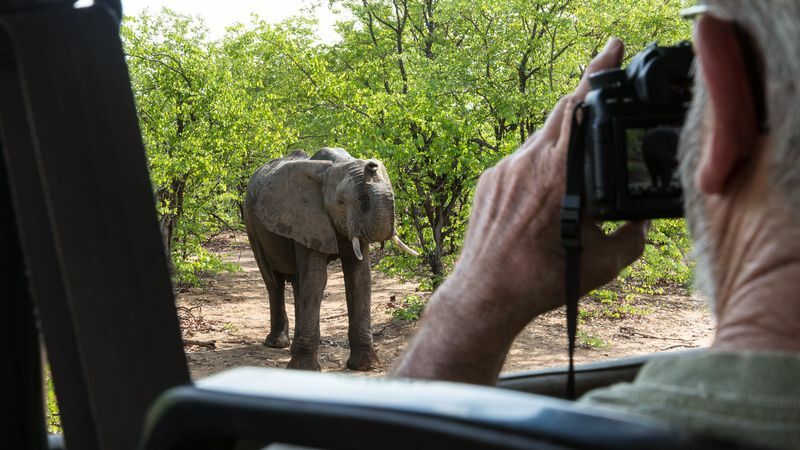 How safe is it, really, to go on a safari? 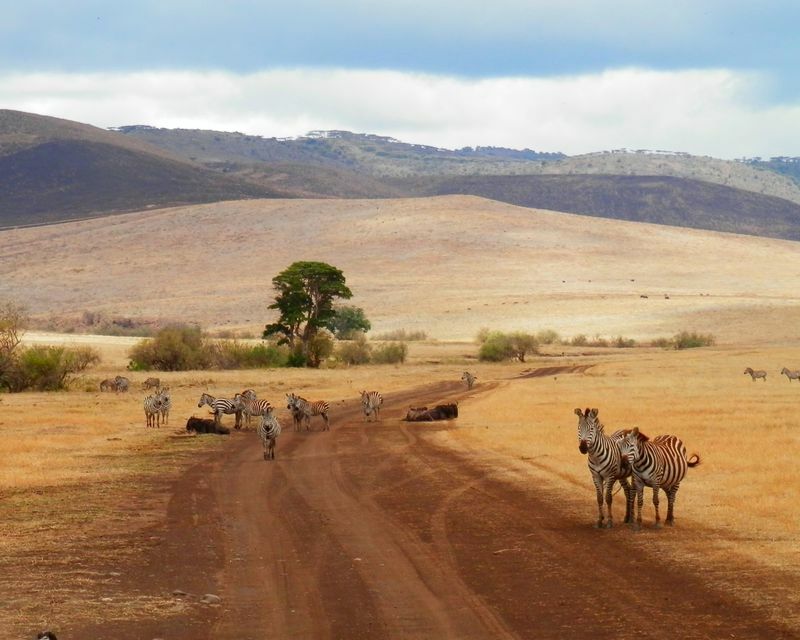 Read our article about staying safe on a safari! Before starting to plan your safari in Kruger National Park, you should check the visa requirements to visit South Africa. American, Australian, French, Italian as well as other 43 nationals do not need a visa for visiting South Africa for a duration of maximum 90 days. British nationals can only stay in South Africa for 30 days without a visa. Check with the embassy in your country for the most updated information. There is a bank in Skukuza, as well as ATMs in Skukuza and Letaba. Other than these, there are no ATMs within the park. Credit/debit cards are accepted at fuel stations within the park. Pay attention that cash may be the only option for paying the entrance through the gates. For the best animal viewing, make sure to bring binoculars. Don’t forget your camera as well as bird and wildlife reference books. A hat and sunscreen are a must in your luggage. Your clothes should blend in with the environment. Packing a windbreaker is also a good idea. Always pack anti-histamines and lotion to protect from insect bites. Not sure what to wear during a safari? Check out our article about safari clothing. The immensity of the park offers a vast array of activities, suitable for any type of visitor. One can choose among walking on wilderness trails, going on game drives, taking guided walks, going on a 4x4 adventure, trying mountain biking, exploring backpacking trails or eco trails. Those who prefer birding are also lucky. Or you can experience the bush braais. Plus, if you want to play golf, you are not forgotten either. The Big Five – Buffalo, Elephant, Leopard, Lion, and Rhino. The Little Five – Buffalo Weaver, Elephant Shrew, Leopard Tortoise, Ant Lion, and Rhino Beetle. Birding Big Six– Ground Hornbill, Kori Bustard, Lappet- faced Vulture, Martial Eagle, Pel’s Fishing Owl, and Saddle-bill Stork. Five Trees – Baobab, Fever Tree, Knob Thorn, Marula, Mopane. 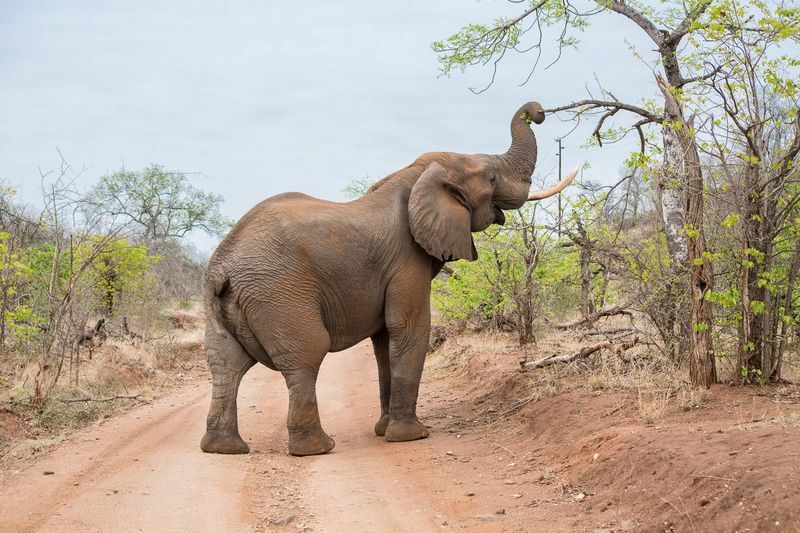 Natural and Cultural Features – Letaba Elephant Museum, Jock of the Bushveld Route, Albasini Ruins, Masorini Ruins, Stevenson Hamilton Memorial Library, Thulamela. Camping: for tents and caravans. Most have power. Hut: single room with a common kitchen and bathroom. Safari tent: permanent canvas tent. Some have a common kitchen and bathroom, others are fully equipped. Bungalow: single units with bathroom. Some have their own kitchenette, while others have access to a common kitchen. Cottage: single bedroom units with living room, bathroom, and kitchen. Family cottage: multiple bedroom units with a living room, bathroom, and kitchen. Guest cottage: multiple bedroom units, two bathrooms, kitchen. Guest house: multiple bedroom units, bathrooms, bar, lounge area, and exclusive views. Luxury lodges: private lodges, with unique style and atmosphere. All major rest camps have electricity, a first-aid center, a shop, braai, and communal kitchen facilities, a laundromat/laundry tubs, a restaurant and/or self-service cafeteria, public telephones, and a gas station. The major rest camps are Berg-en-Dal (with satellite Malelane), Crocodile Bridge, Letaba, Lower Sabie, Mopani, Olifants, Orpen (with satellites Maroela and Tamboti), Pretoriuskop, Punda Maria, Satara (with satellite Balule), Shingwedzi, and Skukuza. There are also main camp satellites as well as bushveld camps. The Kruger National Park is the largest national park in South Africa and includes concessions both adjacent and within the park itself. These are made of private reserves and land loaned from the government for private use. While the geography, flora, and fauna won’t differ in the private reserve – albeit some are fenced and the movement of animals is restricted -, there are quite a few things that are different than in the park itself. Private reserves have strict limitations when it comes to the number of tourists allowed in the reserve. Your experience will be less crowded and more authentic. Off-road game viewing is only permitted in private reserves. Private reserves also allow night game viewing as they don’t follow the opening and closing time of the park itself. If you prefer a luxury safari experience, you should seek that in a private reserve. The park itself, while providing a lot of great accommodation options, is more suited for a budget safari. 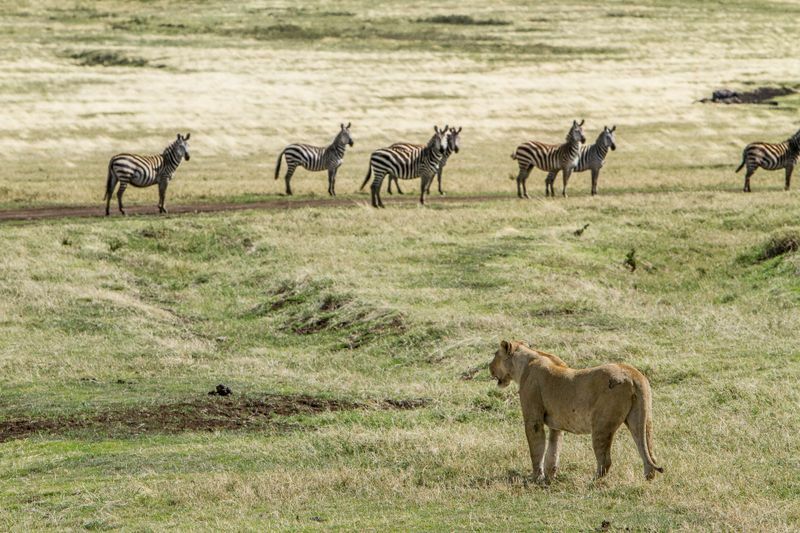 If you decided that a private reserve is a better choice for your safari trip, then you are faced with another choice. There are a lot of private reserves to consider so here’s some information about these selected private game reserves. Sabi Sands Private Game Reserve features the most exclusive and luxurious accommodation and delivers the best Big 5 animal viewing in Africa. Balule Private Game Reserve features only a handful of luxury lodges and is great for Big 5 watching and bird watching. 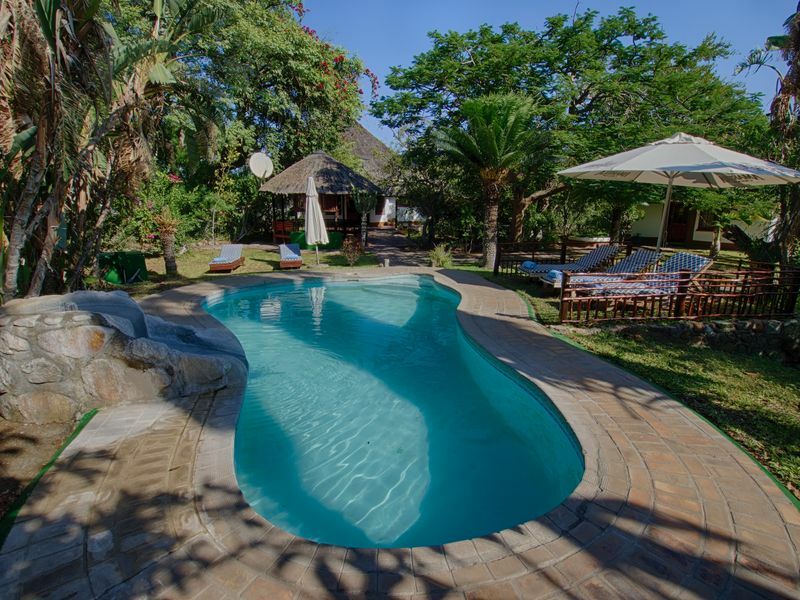 Thornybush Private Game Reserve features accommodation suitable for families, romantics, and wildlife enthusiasts. It is also famous for the Big 5 viewing. However, this is a fenced reserve so animals cannot migrate to and from the reserve. Timbavati Private Game Reserve used to be famous for being home to white lions (now moved to Johannesburg for “protection”). It has fewer camps and tourists than Sabi and the prices are more affordable. Makalali Private Game Reserve is ideal if you don’t want to tick off the Big 5. It still has lions, leopards, rhinos, and elephants but there are no buffalos here. Welgevonden and Lapalala reserves, although about 3 hours drive from Johannesburg, are perfect if you don’t want to deal with the malaria risk. 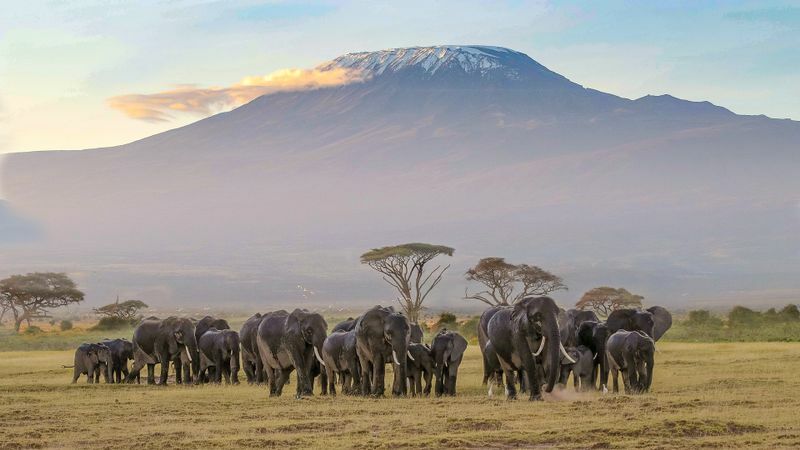 Ready to plan your next safari adventure? 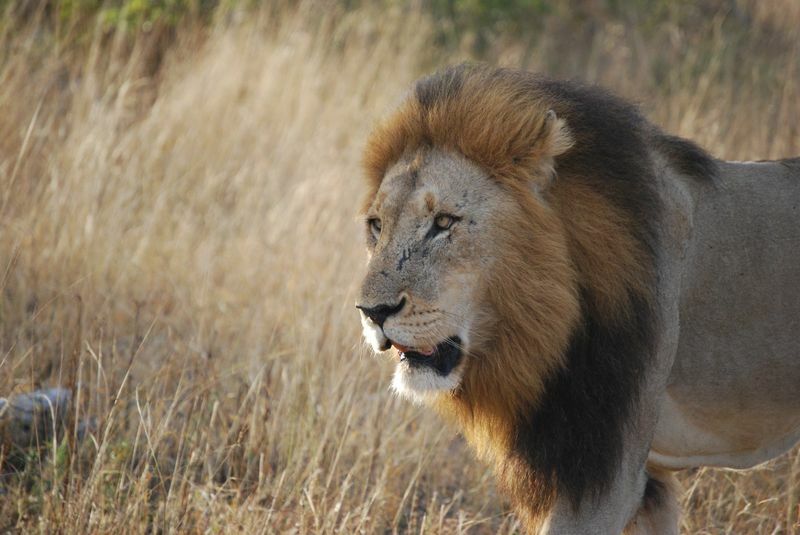 Check out the many safaris in South Africa we have on offer on BookAllSafris.com.